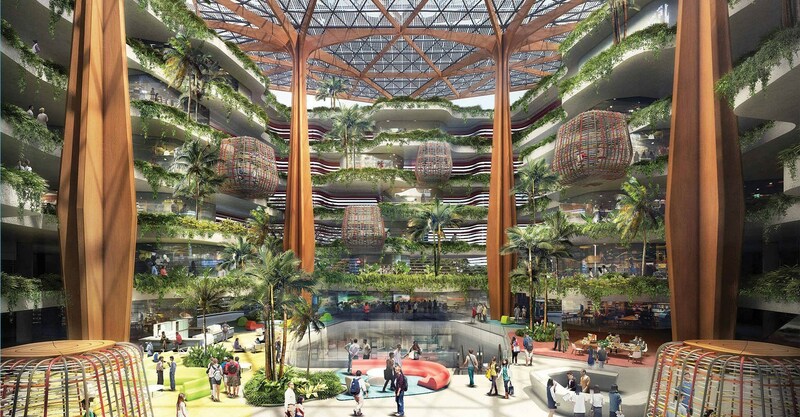 Our first project in Singapore is a total of 4 plots in the Punggol District, the upcoming tech district in the northeast of Singapore; the new campus for Singapore Institute of Technology (SIT) and the Punggol Digital District (PDD),a mix-use commercial and business park. The SIT campus comprises a number of low-rise buildings; some linked via canopy walks and classroom hatches branching off to the sides. Koltay Façades is involved from the Schematic Design stage through to Tender Documentation on the main buildings of the campus. The Punggol Digital District is made up of several plots with low-rise block buildings. We supply technical specifications and technical review of the tender package. A majority of the buildings will have precast façades, something we don't often work with.